When I first met M all those years ago, he had a head full of thick hair that he preferred to wear long. Not quite the mullet, but an all-over long style. I prefer neatly trimmed short hair on a man, so duly gave him grief over it. Things change, styles transform. And so it happened that by the time we got married, M was wearing his hair beautifully clipped. It was still quite thick, but neat and short. This new hair length had nothing to do with me, I hasten to add, for M is not one to give in easily to any amount of nagging. It was short of his own free will and perhaps a need to conform to the accepted norms at work. As luck would have it, his hair started thinning quickly in the very first year of wedded bliss. I blame heredity and testosterone, but not everybody can think straight when there is a joke to be had at someone else’s expense. The ‘wife’ jokes came thick and fast. I was supposed to have nagged, bothered and whined his full head of hair away! Pressures at work and pressures in life didn’t help the case of M’s disappearing hair. Fatherhood only added to the agony. However much you love your child, there is no denying the stresses that parenthood brings do nothing for your hair-health. And then it happened. One fine day, without any warning, M went and shaved his head. One minute we were dealing with a receding hair line. The next, I was staring dumbfounded at my bald-headed husband! He has now compensated by growing a full, bushy beard. I am not being biased here, but the look is incredibly fetching. 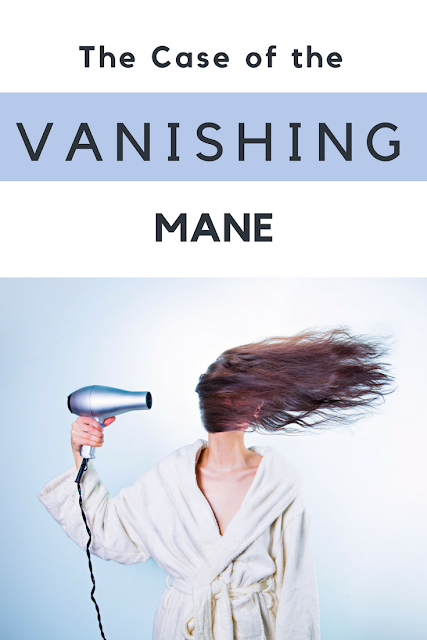 Some day in the future, if he did decide to grow his hair again, we know that modern hair therapies like the AdvancedTricho Pigmentation Treatment can provide the solution to this case of a vanishing mane!